Or actually, the same problem, again. 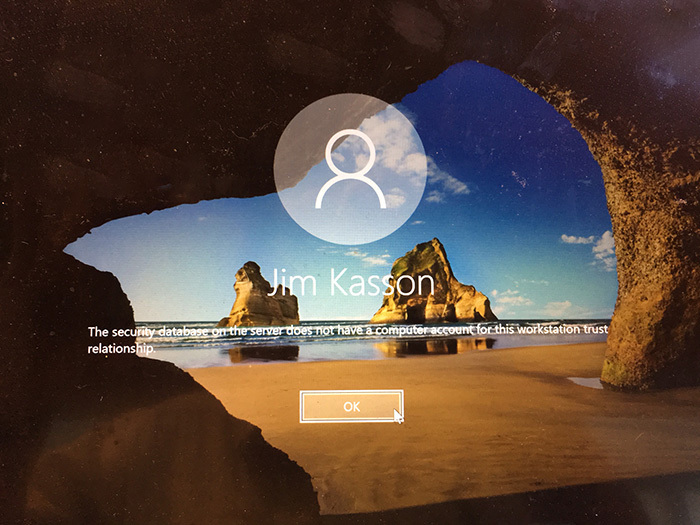 Last September I reported on a Windows 10 update that rendered a Lenovo laptop unusable. I was hoping that Microsoft would fix the problem by the time they forced me to update to the new version. I was also hoping that telling Win 10 to defer updates would give them a good long time to get their act together. Turns out that a good long time is 7 months. The computer had been nagging me to update for about a week, but I kept putting it off. The day before yesterday, it took matters into its own hands and started the update by itself. When it was still working on it half an hour later, I knew it was a big one and I hoped that I didn’t fall afoul of the same gatcha as before. The only thing I know to do at this point is to download the software and try to effect a repair, but that last time I tried that, the only option that was at all palatable was to roll back to the systems state before the update. If I do that, the same thing will happen to me again. I’m gonna contact Lenovo. I think there’s a strong possibility that it’s something to do with my hardware or the way they configured the software, since this is no longer a new update. Then I tried to open a trouble ticket. Lenovo uses a service ticket managment suite called MTSA. I tried to log in with my old user id. It didn’t like my credentials. I asked to reset the password. I got a new passwrod, and filled out a trouble ticket. But clicking “Submit” at the bottom of the page did nothing. Well, that’s an hour of my life that I’ll never get back. 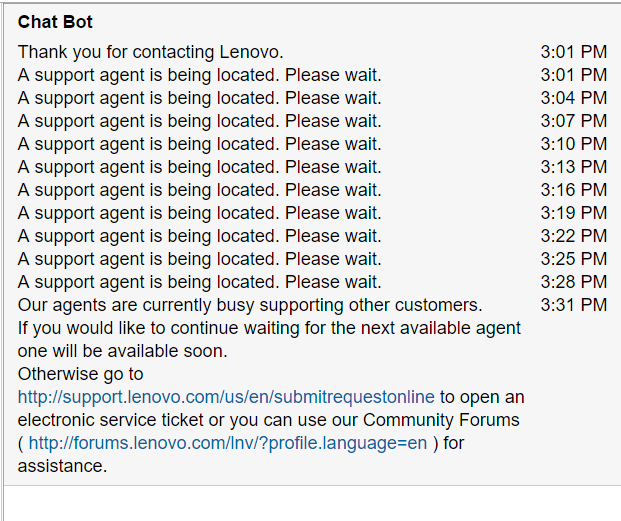 I called the Lenovo support number, and got an agent after a ten-minute wait. After reviewing my tale of woe, he suggested that he send me a recovery disk, and that I return the machine to its originally-shipped state, update the OS, and then install all of my apps and data again. That seems to me like using a sledgehammer to kill a fly. I think the agent is incentivized to get off the call fast, and sending the machine back to square one isn’t going to cost him any time, although it will cost the (l)user plenty. And these guys probably aren’t trained in Windows arcania. So either I spend hours trying to troubleshoot this, and do it in such a way that will survive future Win 10 updates, or I bite the bullet and wipe the computer. Wipie it, log in with your credentials, install first applications of the Store for what you need. And only then, install what you cannot find in the Store so maybe special photo / video editing software and that’s it. And scrap this Symantec Norton stuff that only slow down things and bring ZERO benefits.